i drink coffee all day. 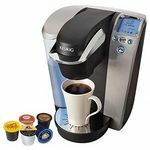 i love the convenience of my new Keurig Vue Brewing System V700.. My coffee is ready in what seems like seconds.. brewed to perfection! I use this on a daily basis. I love how it he mutable choices on it . Was very disappointed with this Keurig. I had a very hard time with the coffee and the needle getting stuck constantly. 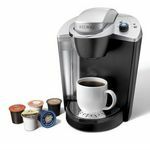 I really enjoyed my first Keurig but this one was extremely difficult to use. Coffee was not affordable also with this particular Keurig. Would take too long to brew and coffee would not come out. I brew a cup before work during the week. Being able to brew a single cup works great for me, since I'm the only one in my family that drinks coffee. The only problem I have is that the pods are one time use and can be expensive. I pay about $25 for a 40 pack of them, which lasts under a month. Normal coffee lasts me several months and costs less than $15. Also I can't buy the vue pods in my area, but I bought a cheap k cup to vue cup converter. So that works, it also let's me use regular coffee grounds in it. It's just a small hassle to do that. 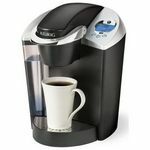 All in all I love my vue 700, I'd have a hard time going back to a regular coffee maker after using the keurig products. Even when I am fighting the morning sleepies to keep my eyes open after waking up, I always get the perfect cup of coffee with this machine. It has a sleek design, which means my kitchen...which is a bit outdated when it comes to the 70's style wooden cupboards and stained stove...has a bit of modern style in it finally. There's a light that illuminates the water, making it glow, almost like it's happy to see me. An automatic turn-off feature gets used all the time as I am quite forgetful at turning off coffee pots. The blue LED screen is easy to navigate, all powered by the touch of your finger. 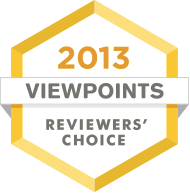 A monkey could use the menu easily and end with the same results. The Vue cups are too expensive for my wallet, but I am able to use a filter in which I put my own coffee, and save money this way. 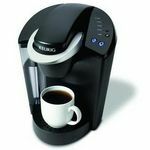 Clean up is a breeze, I have not had any issues with it filling halfway, as some reviews run into (I should note I owned an older style Keurig machine that does have this problem, and am aware it happens). The only problem I've ever experienced with this machine was that it did not register it had a full water tank. That was solved simply by unplugging the machine and refilling the water tank. I would gladly recommend this coffee maker to anyone who wants something easy for a cup or two of coffee/tea/hot cocoa anytime during the day. Brew Performance Always a perfect cup! Ease of Cleaning Just run water and vinegar through it every once in a while and it's clean! The bottom part the cup sits on comes out easily for hand washing, and most everything removes and is accessible. Ease of Use Just learning where everything is in the menu is the part you have to take a few minutes with. It's pretty self explanatory though. Design I love the look of it! Durability Nothing has broken in the almost-year I've had it. With good care, though, it should last a lint time! 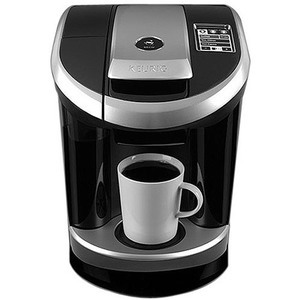 I liked the Keurig coffee maker from the start because of how great it looks and the price was fair as well. Brew Performance My Keurig does a fantastic job brewing fresh coffee every time. It brews it fast and makes it high quality. This is the kind of coffee I'm used to getting when I go out to a restaurant or a coffee house. Very good quality coffee. Ease of Cleaning This is a very easy coffee maker to clean. I just give it a quick wipe down with a dish rag after every use and she's looking as good as new. Ease of Use It's actually quite easy to use this coffee maker. 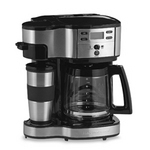 It brews up pretty fast compared to other similar coffee makers and always brews it up right. Design I really like the design of my Keurig. It isn't too big and also isn't too small. It fits in perfectly on my counter and looks so good next to all my other smaller appliances. Durability I have never had any issue with the durability of my Keurig. It was definitely built to last a long time.